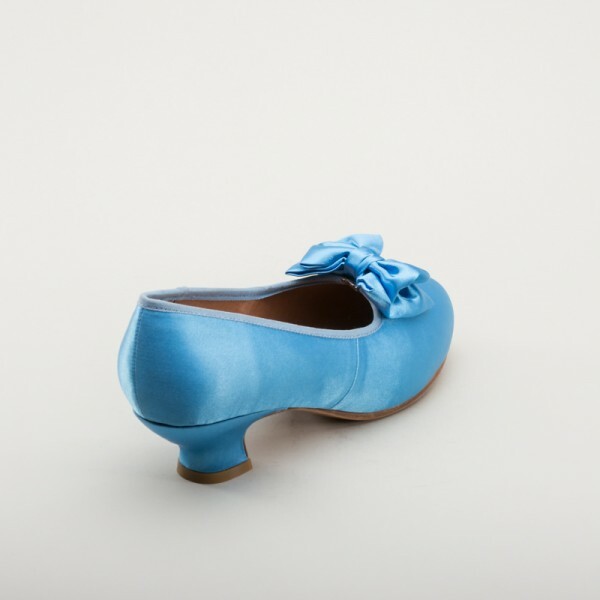 Amelie Satin Pumps are the beautiful late turn of the century evening shoes you've always dreamed of. 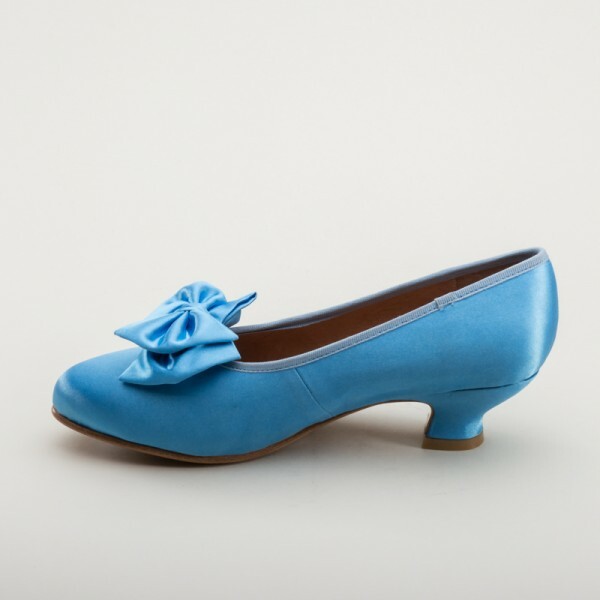 Dress Amelie Satin Pumps with that gorgeous natural form frock or the beautiful Edwardian ballgown you're wearing to your next event. 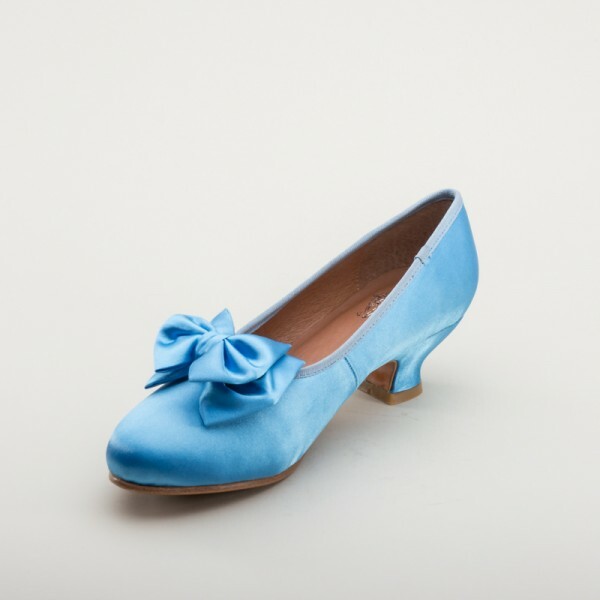 Made in shimmering satin with clip-on double bows, the Amelie Satin Pumps offer supreme elegance, with a pretty little 1.75" / 4.5 cm French heel, softly tapered toe, leather soles, and leather lining. 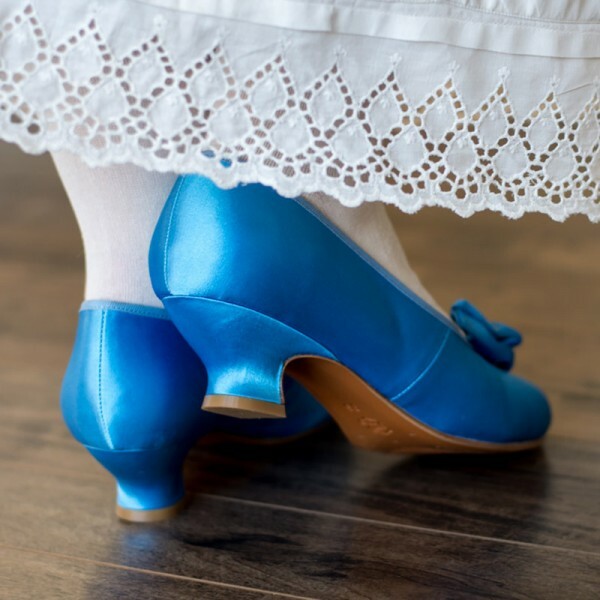 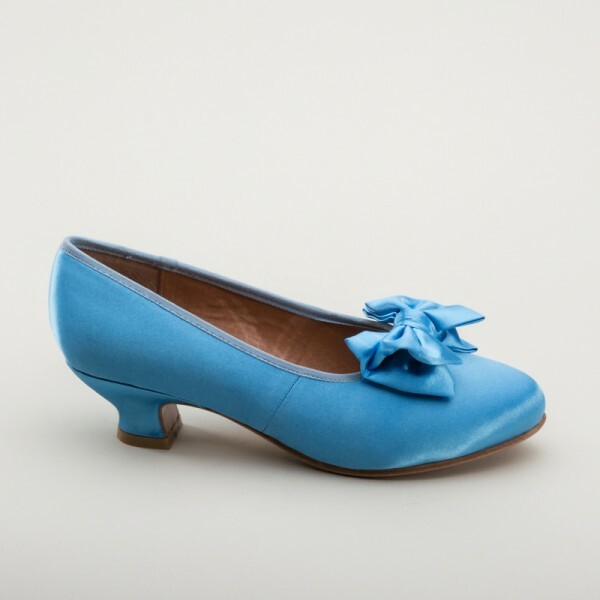 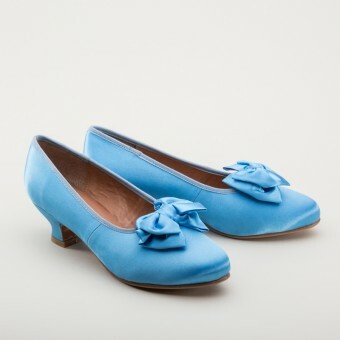 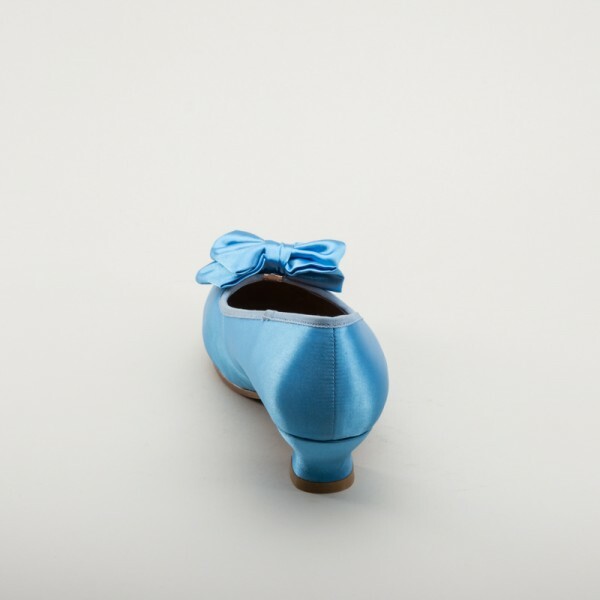 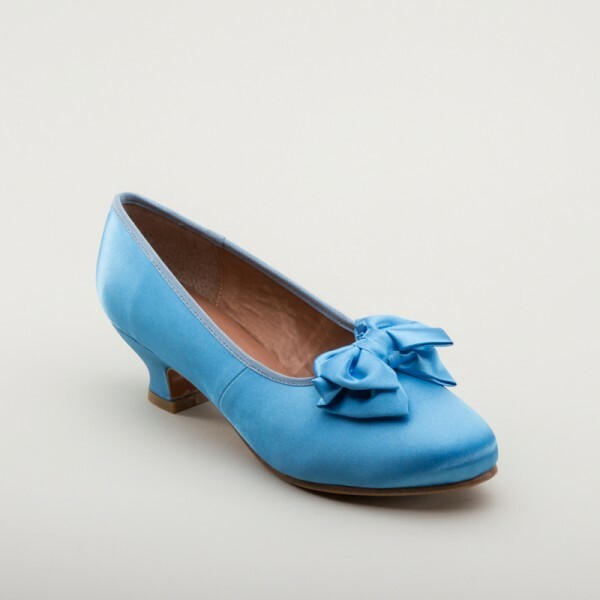 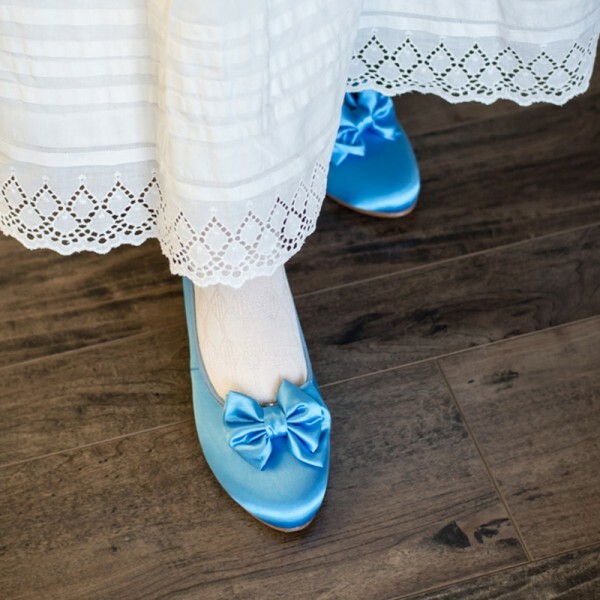 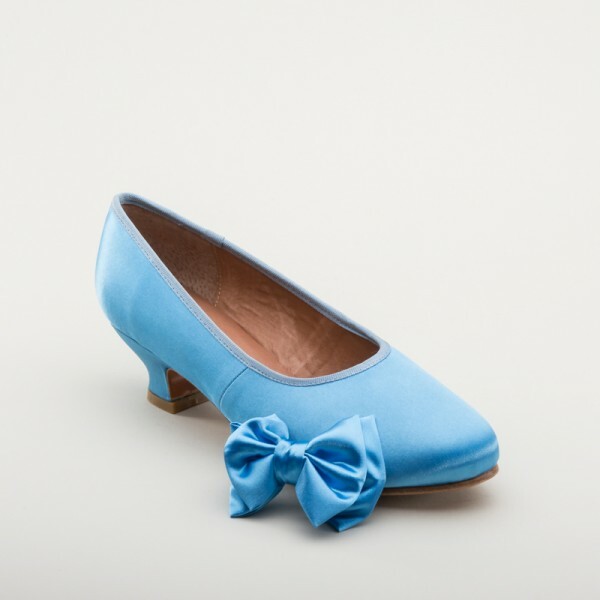 "Amelie" Satin Pumps (Sky Blue)(1880-1920) has an average rating of 5/5 from 1 reviews.